This week I tried to take some everyday pictures for Modest Monday. 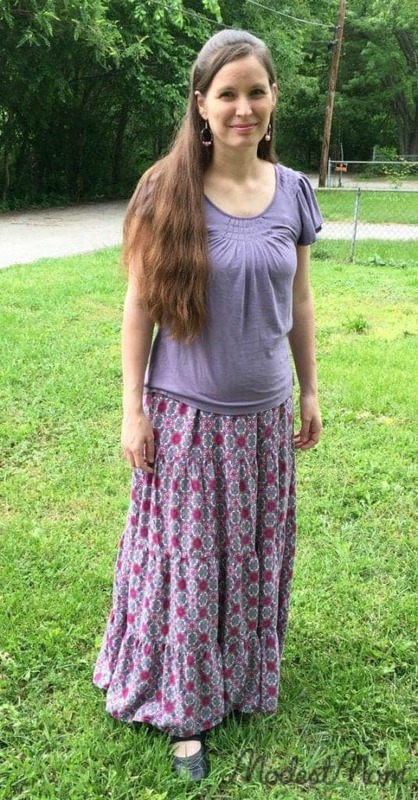 I wanted to show you what I wear for being at home with the children all day, cleaning house, running errands, or going to evening church on Wednesday nights. We used our iPhone to snap these pictures and only managed to get two different outfits taken. It’s amazing how fast the week goes! 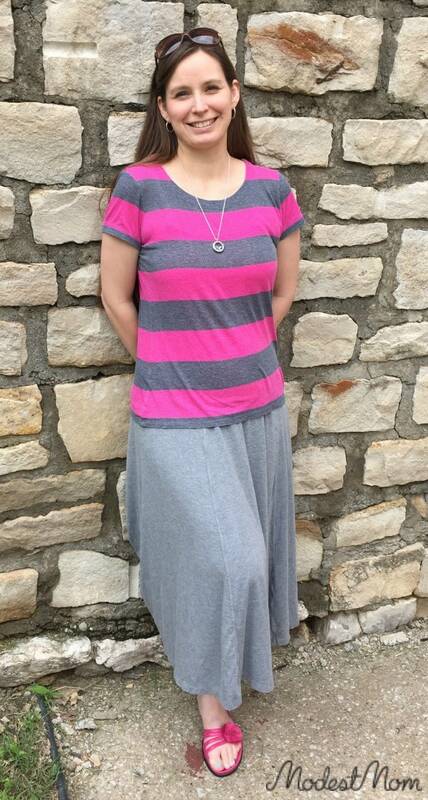 The gray skirt I’m wearing is a Gap maxi skirt I found on ThredUP. It’s one of my favorites because it is so comfy and goes with a lot of different shirts. The shirt I found on ThredUP as well. I’m wearing an Undercover Mama tank under it, so I can nurse discreetly even without a nursing cover if needed. I wore this outfit to a homeschool book sale. I found a favorite brand of tops I like that are sold at Kohls, and I have a search saved on ThredUP to find them. The Elle brand seems to be feminine and fits well. I should have layered this top with a halftee but once again I wore an Undercover Mama tank with it. The Build Your Bundle Homeschool sale starts today! 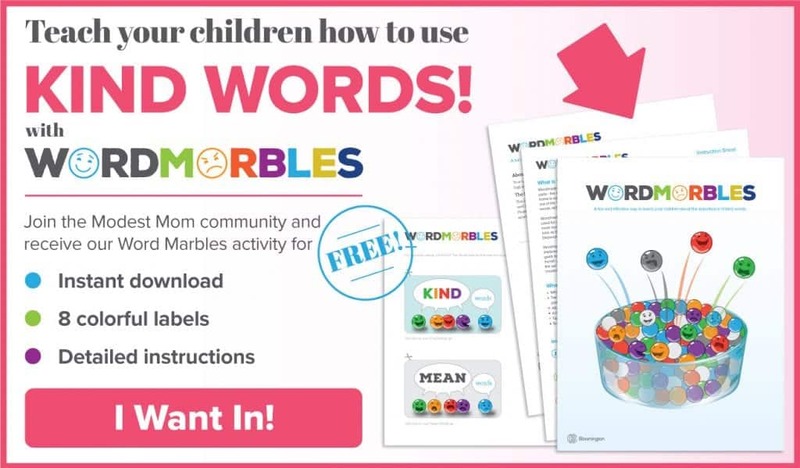 Whether you need preschool or high school curriculum, something just for boys or girls, you will find curriculum from name brand companies. You can buy bundles already put together, or build your own! It’s only available for a limited time so check it out today! Linked up at I Feel Pretty and What I Wore. I was hoping for a post on casual, everyday outfits soon. Thanks! As a fellow stay at home, homeschooling mom, most days are casual days for me. Thanks for the outfit inspiration. I especially like the first outfit! I really want to do more everyday outfits, I just have to remember to take the pictures during the week! Thanks for a great party!!!! Love that first outfit – comfy, summery, cute! LOVE the top outfit!! Do you mean you want a halftee to bring the neckline of the 2nd shirt up higher? Thank you so much for hosting the link in! This is my first time here. I looked for a button but must be overlooking it as I do not see one. So sorry. I love the first outfit! Especially the sandals – where are those from?